SKIP TO MALOU: Happy Friday! I don't want the week to end without coming up with a blog post. Although I may have no stories or Wikepedia-usque information to share with you (like usual), I want to make up for it by posting two easy shrimp recipes. In a pan saute garlic and onions and ginger. Add the shrimps and stir. Wait until the color of the shrimp changes to red-orange. Add broth and let it simmer. Add tofu. Season to taste with fish sauce or salt. Add more ginger. Break the egg on the broth and give it a quick stir... and voila, it's done! In a big wok, melt the butter. Saute the garlic and onions and ginger. Add oyster sauce, ketchup, sriracha and brown sugar. When the sauce is mixed thoroughly, add the shrimp. Cook for another 10 minutes. ,, and you are ready to "wow" you family and friends in no time! I want to try both Malou. I am now a new fan. Thanks for these great recipes! Shrimp look so gorgeous and tempting! Deal! I love that shrimp dish! I want to eat some now. I love the idea of the spicy ginger broth. Super yum. I still need to try the Chili Crabs you posted too! Thank you Yvette. I hope you will really try them as it is so easy to make and so goooohd! Maureen Hahah great deal... so here we go haha. Try the chili crabs or the chili shrimp... the ingredients are almost the same but they taste different. good luck! 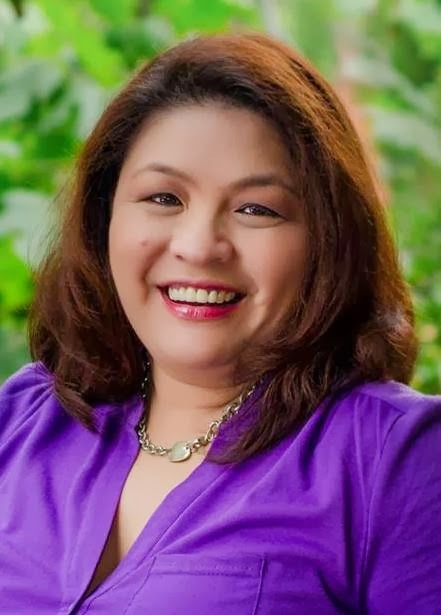 You ALWAYS present food very beautifully and I noticed all my Filipino food bloggers are the same way! I must learn it from you guys. 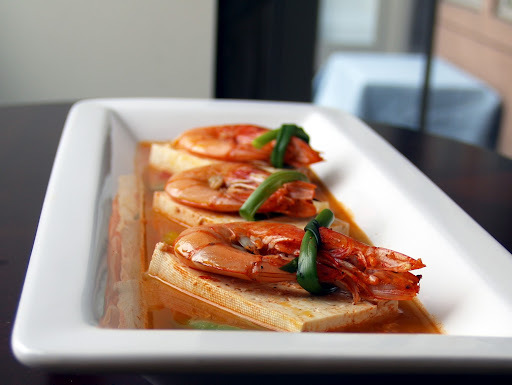 I love the simple shrimp & tofu recipe here. Sounds awesome! hello! what is sriracha? is it available in the philippines? I love the vibrant color of the shrimp, Malou! That happens when you have good lighting. Good job! Isn't it funny how something common in one culture can be unbelievably exotic in another? I had to read several times the direction for squishing the shrimp heads, etc. as that was never the part of my upbringing even though I diligently save shells of all the sea creatures for stock). I love love shrimp and tofu in soup! Even better, you put in my favorite gingery broth! Thanks for sharing this, Malou! As alwasy, another one of your classics! Holy moly! I have so been craving dishes like this...I just made a chili-garlic shrimp dish but still can't get enough. I LOVE your broth. Actually just saw banana ketchup at the store today and should have bought it!! Hope you're doing well Malou! You truly make shrimp sing! I am already in love with the ginger broth - wish I could be sipping this now. Both make me grateful for the shrimp in my fridge. Just one problem - which to do first? 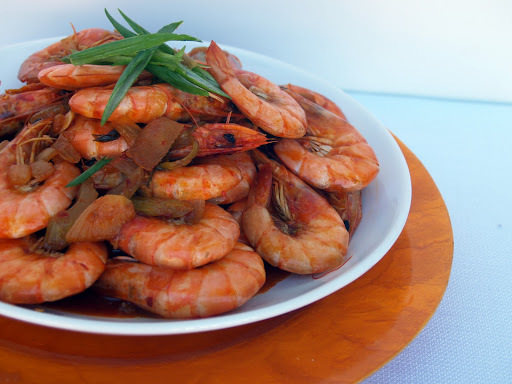 Shrimp is my favorite seafood....and i really love to know and learn more recipe about shrimp.